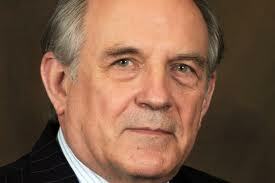 Best-selling author and controversial social scientist Charles Murray is back in the news. This time it’s because of his new book, Coming Apart: The State of White America, 1960-2010. In Coming Apart, Murray deftly wields both statistical data and anecdotal evidence to document the wholesale abandonment of the ideals that for two centuries defined the American project. In Murray’s estimation, barring a dramatic and unlikely reversal, “all is lost.” While Murray does not claim that the United States is in imminent danger of losing its military or economic dominance, Murray does assert America has almost completely lost her identity (and secrets for true success) by abandoning her vigorous founding virtues for the soft, relativistic ones of Europe. Murray concludes his book by explaining why these harsh facts need to be known and offers some suggestions as to what might be done. Here, Murray argues that the route to human happiness is not as malleable as post-moderns wish. True satisfaction in life requires diligent effort and personal responsibility in legitimately important tasks. 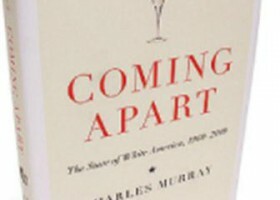 He writes, “If we ask what are the domains through which human beings achieve deep satisfactions in life—achieve happiness—the answer is that there are just four: family, vocation, community and faith.” Tragically, as Murray’s statistics prove, America’s new elites have rhetorically abandoned all four and America’s new lower class has listened.